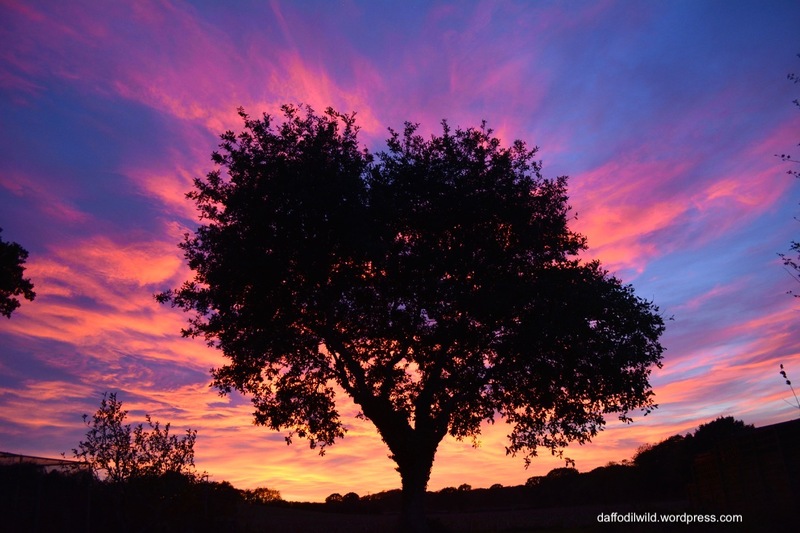 This entry was posted in photos and tagged oak tree, sunset. Bookmark the permalink. Thank you Sarah – did you see that sunset last Tuesday? It was even talked about in the News. It really was! I actually gasped! Another WOW from me! That is beautiful! I felt lucky to be able to capture it in a photo. As you can imagine I took masses of photos, but this was definitely the best. Beautiful photograph. I’ve heard about these amazing sunsets but haven’t noticed any. Living in a city and being busy, I guess! Thank you RJ. There have been a few stunners, at least you can enjoy the photos. A light show to remember. That is very ‘ta-dah’ indeed.